AHOY MATE! 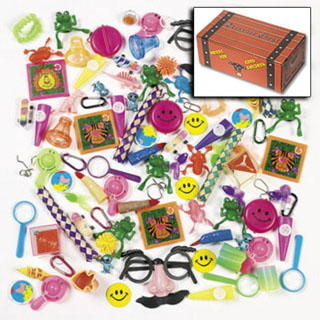 TREASURE CHEST PRIZES! 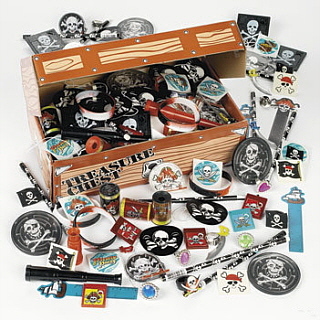 For our young shipmates, we offer an exciting treasure chest prize package! For every 10 units sold (or 20, based on your program,) your participants earn a grab out of the Treasure Chest! The Treasure Chest is loaded with fun booty that’s been buried under the sea for 200 years... This treasure chest was discovered by Marnie Anderson during one of her treasure hunting dives near Hilo, Hawaii. “Chris and I had to fight three Great White Sharks to uncover the goods and bring them back to shore for our pirate friends,” remarked Marnie when news arrived that she had found the treasure! 200 Year Old Treasure Chest full of prize booty! Many different prizes are stored in the Chest which is hauled in during your prize convocation or Landing! The Treasure Chest is hauled in at the Landing (or during the prize convocation at your school) where it is displayed for the winning participants. Occasionally, the treasure chest is guarded by a real Pirate (Short Beard Blue.) Ask your sales representative for details about Short Beard! So if your group needs a fundraiser, and would like to make the Treasure Chest a part of your exciting prize package, call today: 808-430-6567, or press Live Chat above to talk with a Sales Representative!